It’s all in the name: 11 AS IN ADVERSARIES are here to flip the script and destroy the norm. 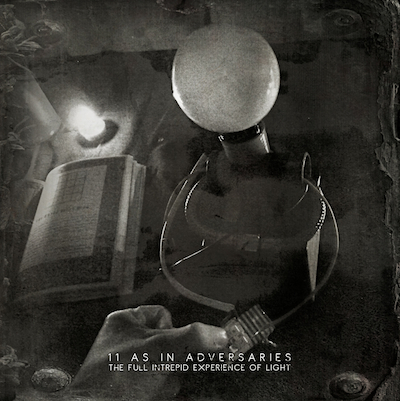 Existing in a stratosphere where rules no longer apply, 11 AS IN ADVERSARIES features the mastermind of extreme-metal rule-breakers Glorior Belli and fittingly combines dark, moody post-punk with the most avant-garde ends of extreme metal. Utterly twisted yet surprisingly melodic, contorting and slithering like a snake, the band’s “The Full Intrepid Experience of Light” seeks its own truth, its own light in the darkness, vast and epic yet brave and unselfconscious. Absord “The Full Intrepid Experience of Light” and be forever altered.